nano coating and nano materials technology. Sangbo Group is a global leader in advanced thin films, nano coating and nano materials technology, based on a highly functional film that brings energy efficiency and added value to cutting edge products. Based on its "technology-oriented" management philosophy, Sangbo has led the market since its establishment in 1977, with over 120 domestic and international patents in IT display optical films for LCD/LED/UHD TVs and smartphones, window films for automotive and architecture, and cutting-edge nano materials, such as carbon nanotube, graphene, Quantomdot, and AgNW. Sangbo supplies innovative products to over 60 countries worldwide with its unique technology in advanced nano materials, coating organic/inorganic composite on substrates, and manufacturing of optical designs and patterns on film surfaces for special purposes. Sangbo has held the highest share of the international optical film market since its development of the world's first 'complex optical sheet' in 2004 became a global standard. As a result, approximately 2½ out of 10 TVs sold worldwide feature Sangbo's optical film, which allows for ultimate high-quality display. Sangbo offers the world's best insulation film, safety film, multi-functional film, and paint protection film for automotive and architectural purposes, based on the most advanced materials technology, process engineering, and thin-film coating and nano-coating technology. 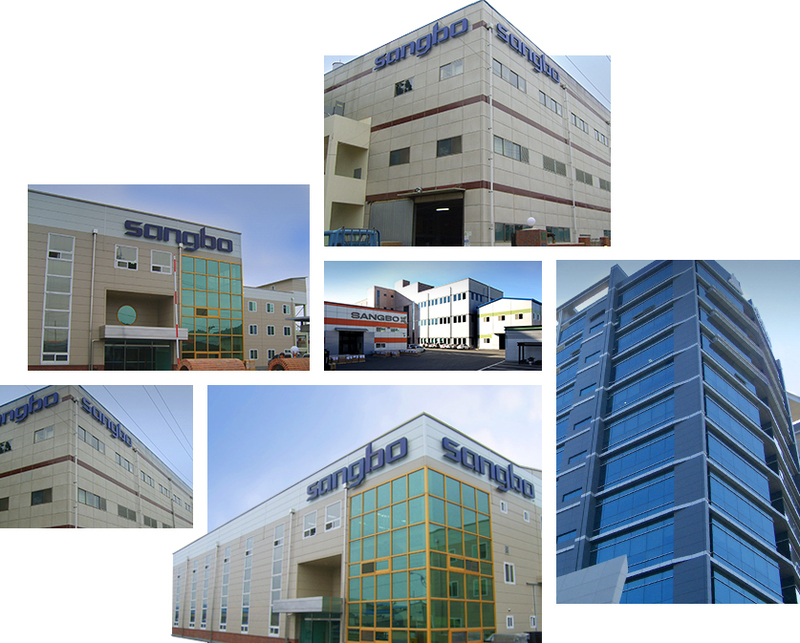 Customers of Sangbo's qualified products include film brands and distributors from around the world. Sangbo was listed on Korea's NASDAQ equivalent, KOSDAQ, in October of 2007 and was selected as a KOSDAQ Hidden Champion and World Class 300 in the year 2013.